LittleBigPlanet 2 U.S. BETA Starting Next Week! 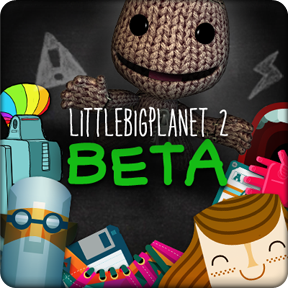 Just moments ago, the U.S. PlayStation Blog confirmed that the LittleBigPlanet 2 online beta will start next week in a small phase. Among those who will receive invites are: certain LBP contributers, DLC owners, & PlayStation Plus+ Members. This is not all required content to be invited, but you will probably need to fall into one of these three categories (at least) to be invited into this phase. The PS Blog also gives fair warning that if you don't get in this time, relax, because there are more BETA phases to come. So, let's all hope for the best, cross our fingers, and constantly refresh our emails! Good news…the 2nd phase [this number includes the 1st phase which is only taking place in EU] of our online beta will be ready next week. This phase will be a small phase, with invites going to a special mix of LBP contributors, DLC owners and PlayStation Plus members, so be on the lookout for an e-mail soon with your beta code. Don’t worry: there are more beta phases in the works, so if you don’t get in next week, we’ll keep you posted on following phases.